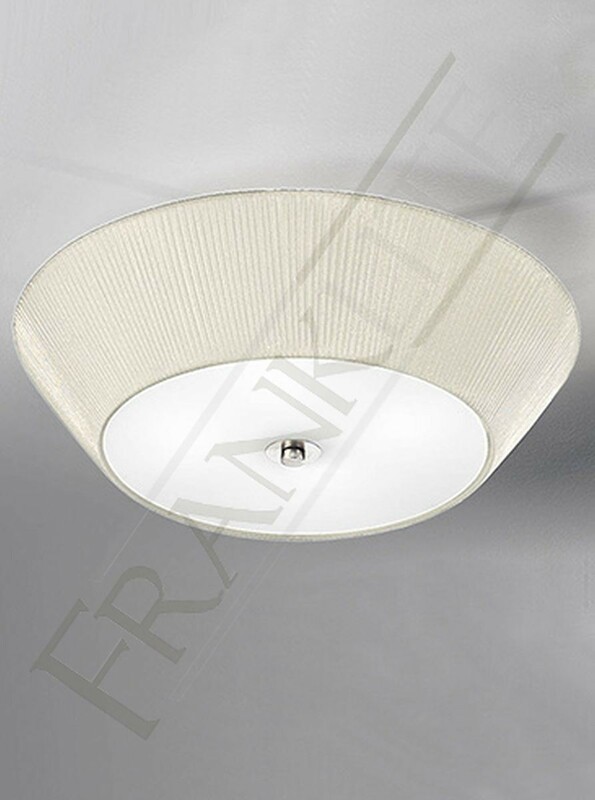 This flush ceiling fitting from Franklite shows a beautiful contemporary piece. The larger design measuring at 600mm has an attractive design, that is highly practical and suitable for almost anywhere around the home, including lower ceilings. 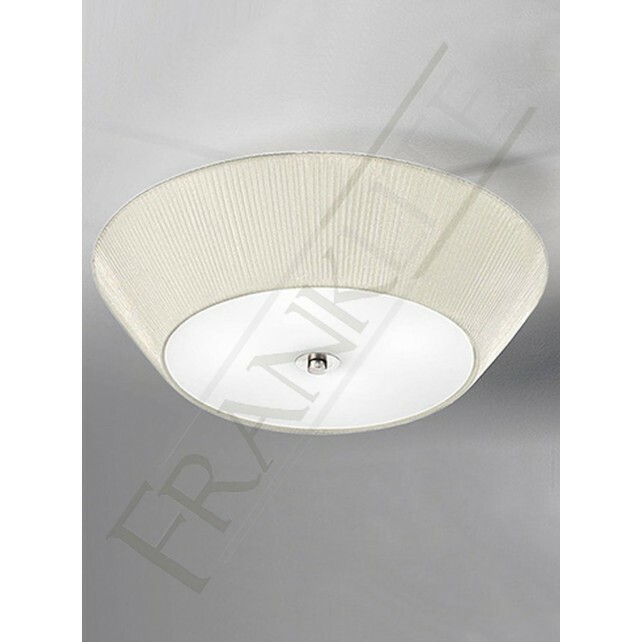 The fitting is included with a stunning cream pleated fabric shade and a satin glass diffuser. Place this lamp almost anywhere around the home, whether its in your hallways or living areas this light will certainly produce an efficient lighting source throughout the room. This lamp is available in a smaller size, see related items for more details.